Of all the ways to make money quickly in the gold market, few can match the power of “the buyout.” This is the transaction when a gold miner sees an opportunity to grow and buys all the shares of a smaller gold company – often at a large premium. The result is an overnight windfall for the smaller company’s shareholders. You can read our educational report on how to locate these companies right here. – This data is updated weekly and is for informational purposes only. It does not provide investment recommendations. 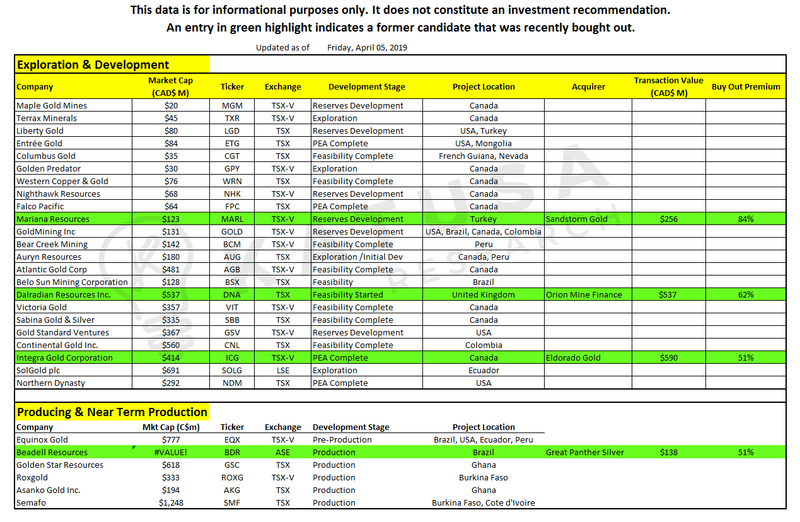 – An entry in green highlight indicates a former candidate that was recently bought out.